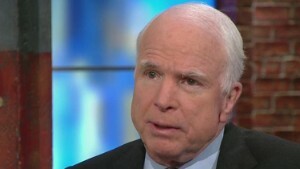 (CNN) -- Just about six years after his career seemed to come to a crashing halt, when Barack Obama defeated him in the presidential election of 2008, Arizona Sen. John McCain is poised to re-emerge as a major player in the next two years. As the new chairman of the influential Armed Services Committee, McCain will be able to use this perch of power to loudly challenge the President's foreign policy agenda. For several years, it seemed as if McCain was finished. The 2008 election delivered a huge blow to his political standing. Once considered the exciting maverick of Washington who could attract supporters from both parties, as a result of his pursuit of campaign finance reform and willingness to enter into bipartisan alliances, McCain won the award from many observers for running one of the worst campaigns ever. His attempt to cater to the right wing of the GOP and his selection of Alaska Gov. Sarah Palin as his running mate led many to question his political future. During much of Obama's presidency he seemed to struggle. He has often been at odds with members of his own party, including tea party Republicans who have pushed for a sharply rightward shift in domestic policy (and challenged him in the primary in 2010 when J.D. Hayworth ran again him), as well as anti-interventionists, such as Kentucky Sen. Rand Paul who have given strength to GOP rhetoric about limiting the scale and scope of the nation's national security operations. McCain has regained some of his footing by becoming the voice of the neoconservative Republicans, a group that many wrote off as a lost voice after the fiasco in Iraq. These members of GOP still believe the United States needs to maintain a muscular foreign policy and cannot afford to constrain national security operations. McCain has blasted Obama for not doing enough to combat the threat of ISIS. He has been a consistent critic of the decision to withdraw troops from Iraq. Of ISIS, he said in September, "It was like watching a train wreck and warning every step of the way that this was happening." 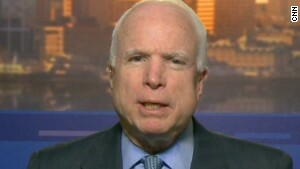 Now that Republicans have retaken control of the Senate, McCain will be the chairman of the Armed Services Committee. This is an important post where he will have a chance to play a big role in debates over foreign policy. McCain made his intentions clear. He recently explained that, "I want the committee to be very active. That's the beauty of the majority, as you know. Of course we can allocate and authorize certain programs, and we can cut others. The President proposes, and Congress disposes." The resignation of Secretary of Defense Chuck Hagel has already offered him a chance to start saying what is on his mind. McCain has praised his former Senate colleague for his work at the Pentagon and said that Hagel was a victim of Obama's failed foreign policies. Hagel, McCain argued, was "very, very frustrated with the administration." When the nomination hearings begin to replace him, McCain will have an even greater opportunity to stand on his soap box and outline to the public everything that has gone wrong in the past six years. There will be other opportunities as well. As new crises flair in Syria and Iraq, the White House must make decisions about troop levels. McCain will have a chance to reiterate his claims about how a passive White House has endangered the national security interest and created too much space for radical elements overseas to gain a stronger foothold in the Middle East. In the debates over the budget, McCain will try to reverse the military spending cuts that the president has put into place. Next summer, when Congress has to reauthorize a key part of the Patriot Act dealing with surveillance, the senator will be able to push back against members of his own party as well as Democrats who think that the answer to the problems is to weaken the ability of the government to spy on potential threats with phone and email surveillance. McCain, who is expecting a tea party challenge for his re-election bid in 2016, is going to have a huge incentive to be aggressive in promoting himself as a major player in the GOP and crafting a conservative agenda that he can feel comfortable with (unlike when he did this in 2008 on domestic issues and looked as fake as a bad Hollywood actor). 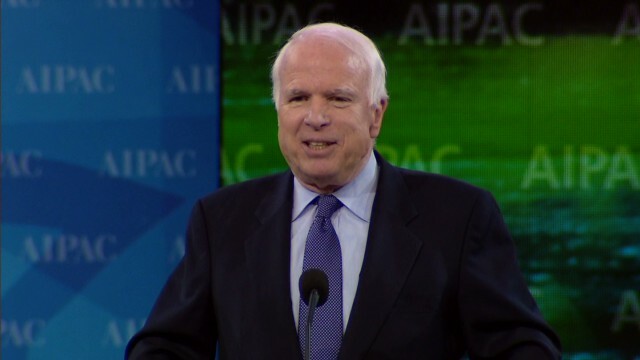 McCain's new platform will create a challenge, not only for the President, but for Hillary Clinton, assuming she runs for the presidency in 2016. Given Clinton's service as Secretary of State, she won't be able to escape her connections to the President's record. Clinton will surely try to make distinctions, as she did in her book "Hard Choices" when she reminded Americans she wanted a more aggressive stand in Syria, but ultimately she will be judged on Obama's record because she was a key player in this administration. The more aggressive that McCain is during the coming years, the more Clinton will have to respond to his agenda. Reports of McCain's political death were greatly exaggerated, to paraphrase Mark Twain. McCain is back. And Democrats had better watch out.